See each office location below. If a small business sells products of any kind to the government–including construction materials–it is essential to understand and comply with the Buy American Act, a comprehensive domestic preference statute. Contractors selling certain products to the Department of Defense must also comply with the Berry Amendment, which applies even more stringent preferences in favor of domestic products. In this course, government contracts attorney Steven Koprince will cover the essentials of the Buy American Act and Berry Amendment, including when these statutes apply, how to evaluate potential exceptions, penalties for non-compliance, and much more. The Macomb Regional PTAC, in collaboration with the NDIA Michigan Chapter, will work with Government Small Business representatives to identify opportunities at the 10th Annual Michigan Defense Exposition (MDEX). 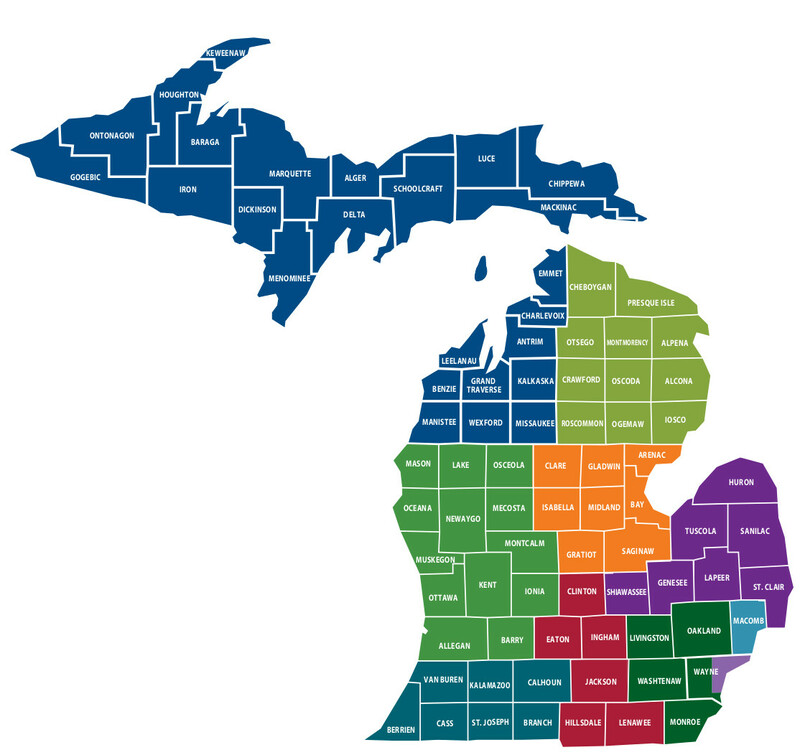 The Macomb Regional PTAC will be taking applications for meetings between qualified suppliers and the government, providing potential solutions to fill requirements, saving time and resources. The Macomb Regional PTAC will manage all Government Connect planning, including the online application process, communication with the applicants, and onsite logistics. To apply, click on the application link below. Applications will be accepted until March, 1, 2019, close of business. Allow your company to access more business opportunities! The Defense Logistics Agency (DLA) Internet Bid Board System (DIBBS) provides automated access to 85% of DLA’s solicitations. These support America’s combat logistics, including nearly 100 percent of consumable items including food, fuel and energy, uniforms, medical supplies, construction and barrier equipment, and more than 85 percent of the military’s spare parts. Get familiar with DIBBS and accelerate your pursuit of new prospects. Company owners and/or decision makers in a stable business for more than two years. WHO SHOULD ATTEND? Management and key players who will support and facilitate government contracting within your company. No fee to attend, but registration is required. In this webinar, government contracts attorney Steven Koprince will cover the essentials of the Buy American Act and Berry Amendment, including when these statutes apply, how to evaluate potential exceptions, penalties for non-compliance, and much more. What does it take to become a successful government contractor? What services and resources are available to a small business pursuing the government market? If your company has been considering the field of government contracting, this seminar will give you the insight you need. This unique multi-day event will focus on opportunities for contractors and subcontractors with the U.S. Department of Veterans Affairs (VA) in construction, Architectural/Engineering (AE), environmental and related trades for both veteran and non-veteran owned businesses. This will be a great opportunity to meet with VA Contracting and Engineering Staff, US SBA Representatives, Veteran and Non-Veteran / Large and Small business contractors and subcontractors. The April 23 educational conference will be held at the Milo C. Huempfner Community Based Outpatient Clinic, 2851 University Ave, Green Bay, WI 54311. The educational conference will be followed by two days of medical center site visits to learn more about upcoming projects at the Tomah, WI and Iron Mountain, MI facilities. There is no cost but advance registration is REQUIRED to participate in the VA Industry Day and Site Visits. Each attendee must register separately. On-site registration will not be available. Questions: Please contact Cassie Hutzler at cassieh@wispro.org or (414) 270-3600. Jerry Hollister is a BBCetc Principal Consultant, joining the company in 2017 with 30 years of leadership experience in government, higher education, non-profit and for-profit enterprises. After earning an engineering degree from the University of Michigan, he served as commissioned Naval Officer in the Civil Engineer Corps and a warranted Contracting Officer for the Dept. of Defense. Prior to joining BBCetc, Jerry was COO for Michigan-based start-up Niowave, a developer of superconducting electron accelerators. Jerry was instrumental in Niowave receiving $20 million in SBIR awards. The company was named the 2010 SBIR/STTR Small Business of the Year by the Dept. of Energy and, in 2016, was honored with the S.B.A.’s Tibbetts Award, which recognizes the best in SBIR achievement. Building on what was discussed in DIBBS 101 training, we will take a look at other DLA Internet Bid Board System (DIBBS) applications such as how to submit a quote on line, find awards, submit post award request, and discuss packaging and shipping. Prior to attending this training, if you determined your business will need to access technically controlled data packages (drawings), we recommend that you apply for the Joint Certification Program (JCP). If you need assistance with this please contact our office. WHO SHOULD ATTEND? Businesses that have identified DLA as a potential customer during their Market Research, or are already selling to DLA.